XRT golf carts from Club Car boast rugged design and capabilities for fun and adventure on rough terrain. XRT golf carts from Club Car are designed to withstand the punishment of rough terrain, and they thrive in some of the toughest conditions. However, this doesn’t mean the comfort of the ride is diminished, and thanks to their lightweight, aircraft-grade aluminum frame and a front suspension with coil-over shocks, comfort is always part of the experience with XRT golf carts. 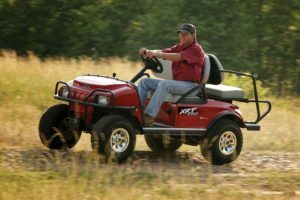 At Golf Cars of Hickory, we are proud to carry XRT golf cart models from Club Car, and we’d be more than happy to show you some of the models, so you can determine if one of these carts is the best fit for your needs. Give us a call today to find out more! 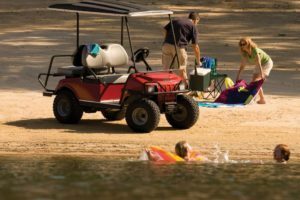 At Golf Cars of Hickory, we offer XRT golf carts to residents of Hickory, Charlotte, Morganton, Wilkesboro, Catawba, Lenoir, Newton, and Conover, North Carolina.